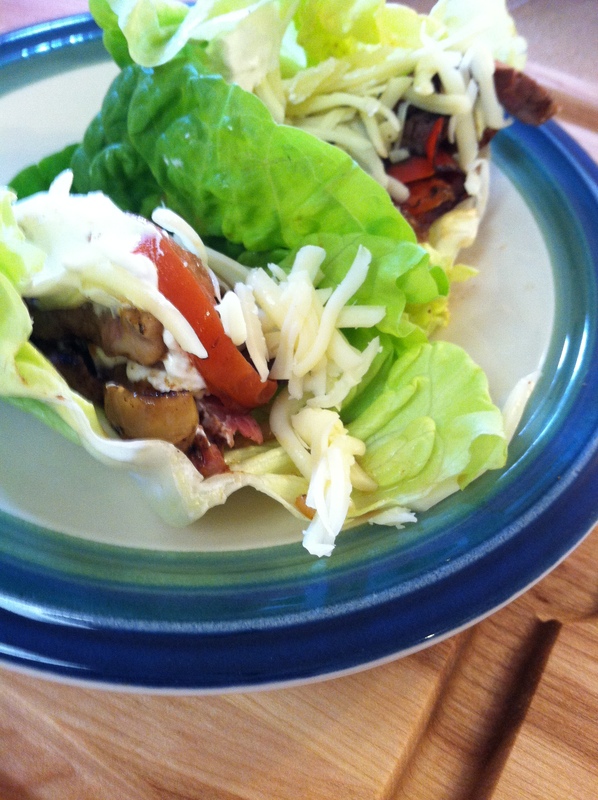 Here is another idea on how to use up your leftovers; Lettuce Cups! 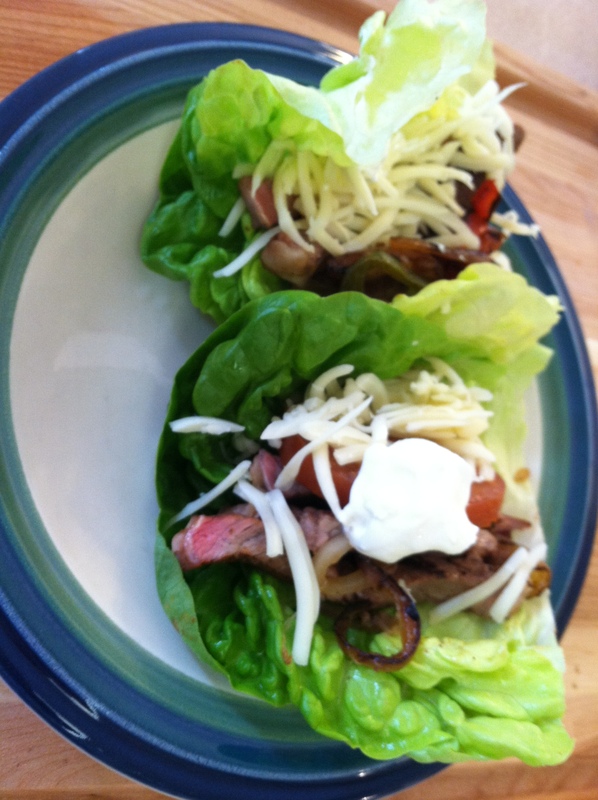 These are a nice healthy way to use up leftover meat or veggies you have hanging around. Yesterday, I had the idea to make a snack with some leftover ingredients from my sandwich bar; bibb lettuce, tomato, bacon and a touch of mayo. A BLT without the bread! 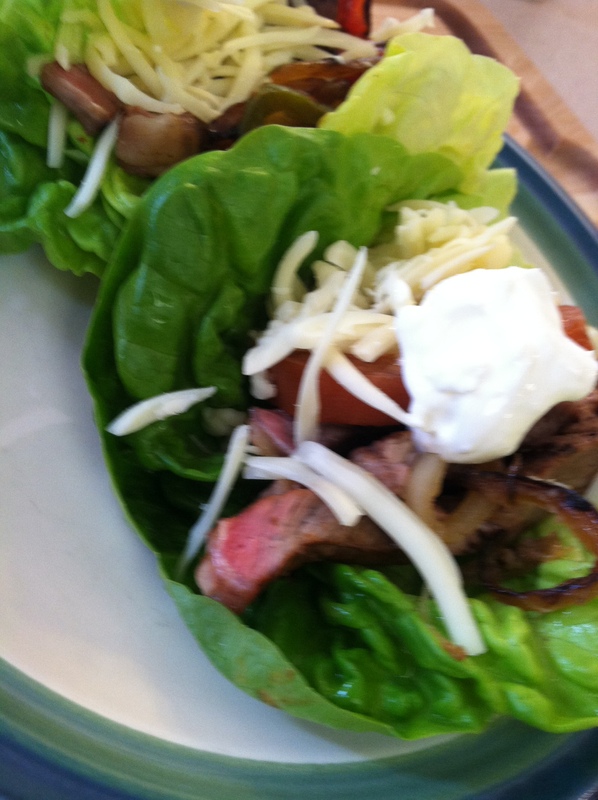 Today I made 2 lettuce cups with leftover Mexican steak and veggies topped with cheese and sour cream. A fajita without the tortilla! If you are looking for a healthier alternative to bread, this is a super healthy idea. Even if you are not but just want to try something new, this is a delicious way to change it up. You could bag up all the ingredients individually and take this to work for a fast and easy lunch. I am even thinking of doing this with egg salad, chicken salad, or even roasted veggies to make a vegetarian meal. The options are endless! I hope you try this and enjoy!